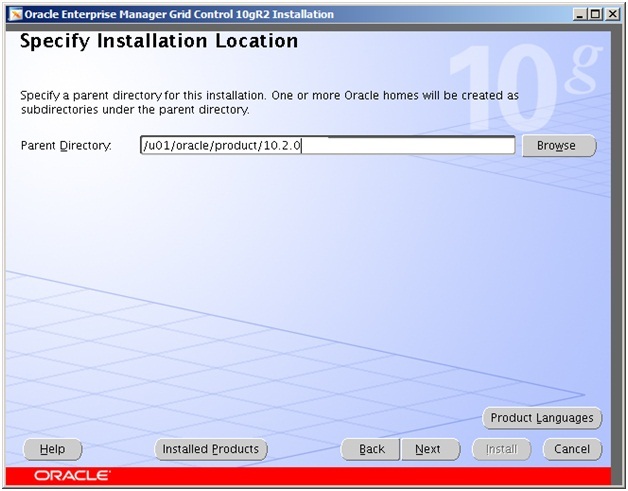 After installing both Grid Controls, make changes to the “hosts” file which resides under “C:\Windows\System32\drivers\etc” folder of your local PC and add host name and ip address information in order to be able to login both Grid Controls from local web browser. 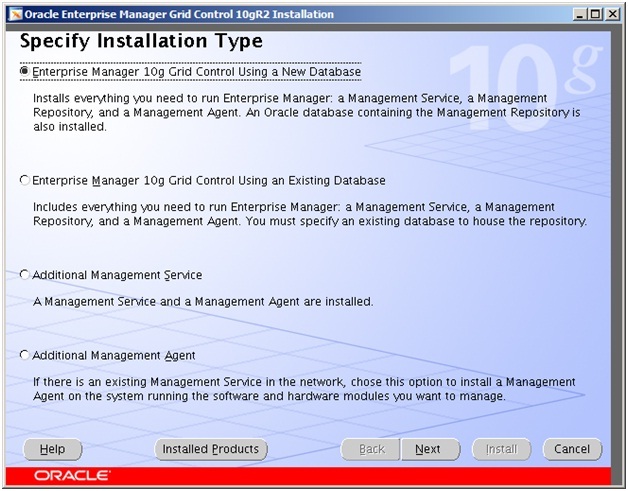 Ok. Now let’s create two databases in the third machine and deploy them to the first Grid Control. Go on and finish the installation. 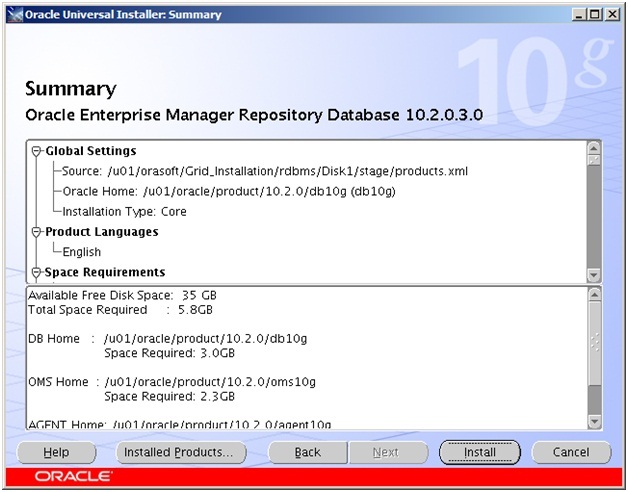 [oracle@TestDB03 ~]$ /tmp/agentDownload.linux_x64 -b /u01/oracle/product/10.2.0 -m "testdb01"
Oracle Enterprise Manager 10g Release 3 Grid Control 10.2.0.3.0. 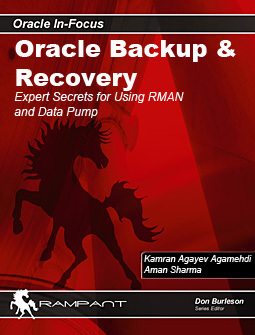 Copyright (c) 1996, 2007 Oracle Corporation. All rights reserved. Requesting an HTTPS Upload URL from the OMS... Done. Requesting an Oracle Wallet and Agent Key from the OMS... Done. Check if HTTPS Upload URL is accessible from the agent... Done. Configuring Agent for HTTPS in CENTRAL_AGENT mode... Done. 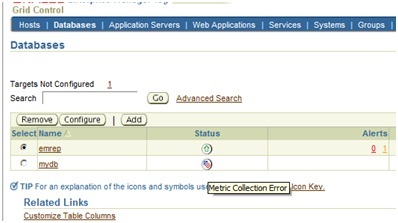 We have a metric collection for the second db, let’s configure it. 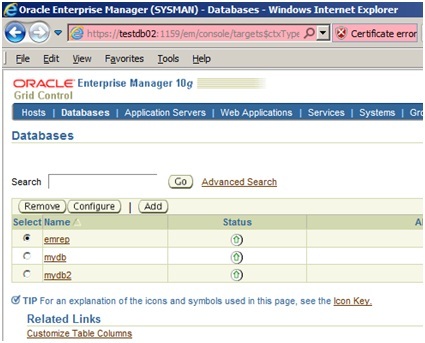 Provide the password for the dbsnmp user and click OK. After a while it should be UP. 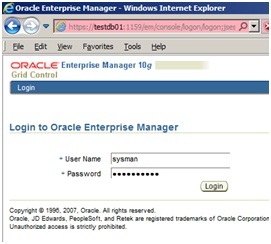 Copyright (c) 1996, 2007 Oracle Corporation. All rights reserved. OPMN processes already stopped... Done. 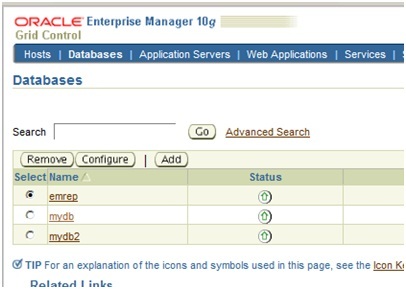 Checking Repository for an existing Enterprise Manager Root Key... Done. 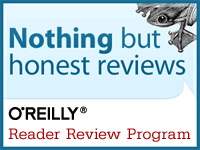 Fetching Root Certificate from the Repository... Done. 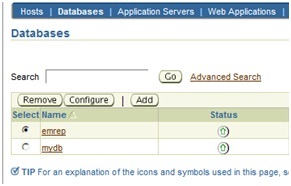 Generating Registration Password Verifier in the Repository... Done. 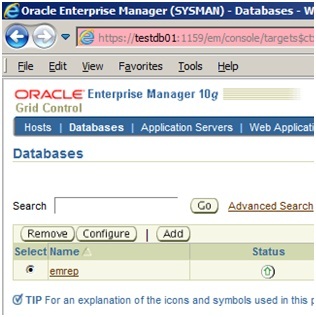 Generating Oracle Wallet Password for Enterprise Manager OMS... Done. 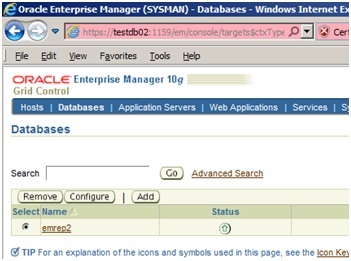 Generating Oracle Wallet for Enterprise Manager OMS... Done. 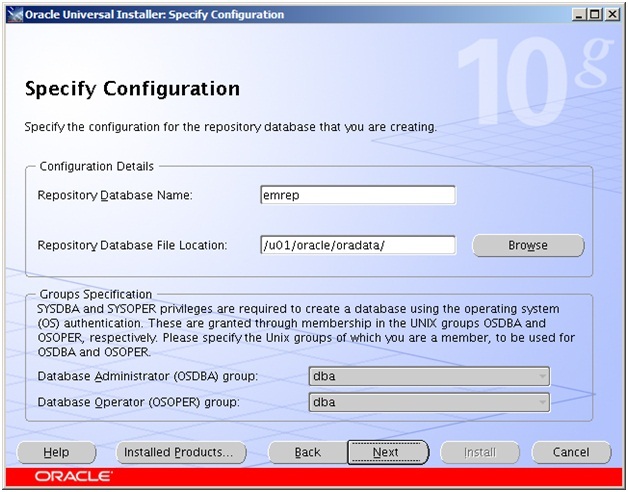 Generating Oracle Wallet for iAS HTTP Server... Done. Updating HTTPS port in emoms.properties file... Done. 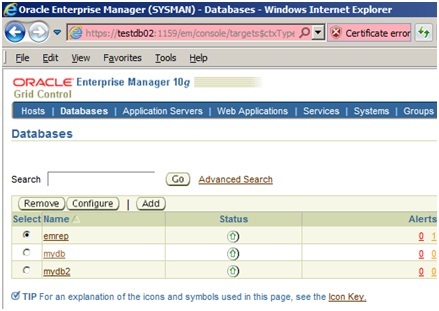 Generating HTTPS Virtual Host for Enterprise Manager OMS... Done. Agent is already stopped... Done. Requesting an HTTPS Upload URL from the OMS... Done. Requesting an Oracle Wallet and Agent Key from the OMS... Done. Check if HTTPS Upload URL is accessible from the agent... Done. Configuring Agent for HTTPS in CENTRAL_AGENT mode... Done. That’s all. We’ve successfully moved the Grid Control from one machine to another and made necessary changes to the Agent. This entry was posted on June 24, 2011 at 1:04 am	and is filed under Administration. You can follow any responses to this entry through the RSS 2.0 feed. You can leave a response, or trackback from your own site. Very well presented! Excellent blog! Your step by step guides are great. Could you not rsync from one machine to the other to get the new environment going? Could you please elaborate more? What I was alluding to was the possibility of being able to rsync the production 10G Grid environments to another server for testing purposes. This is to test upgrade to 11G Grid before production deployment.